The average rate of a flight from San Jose to Venice is $1,431. For a SJC-VCE airfare you may get an average 12 thousand redeemable miles. A flight from San Jose to Venice will be circa $2,064 trough low travel season whereas it gets as high as $1,658 at the time of high season. You might want to know that the lowest price found for the same route is $793, it was a Alaska Airlines, Inc. flight discovered by our visitors on SmartFares. But the cheapest airfare discovered in the past year is also good, just $982 round-trip for a Major Carrier flight found for January 2013 on SmartFares. High season is normally June to September in Venice consequently airfares will most likely become really pricey around that time. Provided that you are searching for lower rates, we recommend you fly in April, May and October, over low travel season, because at that time airlines tickets are generally much better. We say that altogether the ideal period to go to the city from San Jose is between low and high season, in November to March. 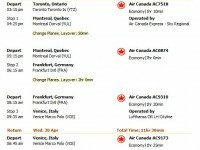 The shortest flight starting from Venice is no more than 187 miles long and it lands in Munich. The longest flight landing in Venice Marco Polo is 4,144 miles long and it takes off in John F. Kennedy International, New York. The longest viable flight distance between San Jose and Venice is exactly 7,820 miles. San Jose is linked to 29 airports in total. 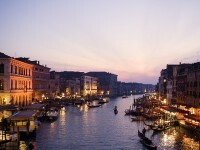 The main airport in the city, Venice Marco Polo Airport, is located some 5 miles away from the city center.